Faith-based education need not be confessional: education can be rooted in a faith perspective without including among its aims the transmission of that perspective to pupils. In the first part of the chapter, I argue that the idea of non-confessional faith-based education is worth taking seriously because confessional education is morally objectionable. In the second part, I offer some thoughts on what non-confessional faith-based education might look like. 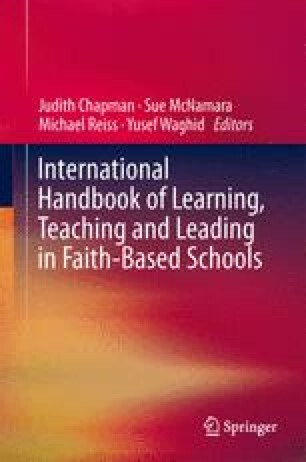 I suggest that religious organisations involved in the provision of schooling might reasonably draw criteria for the selection of curriculum content from their theological conceptions of human flourishing. This is likely to yield curricula distinguished by their emphasis on such worthwhile activities as inquiry into the meaning of life and forms of service to others. National Center for Education Statistics (NCES). (1999). Service-learning and community service in K-12 public schools. Washington, DC: US Department of Education. Retrieved July 4, 2012. http://nces.ed.gov/pubs99/1999043.pdf.